2 Bed/2 Bath, across quiet street from beach, new appliances and floors! 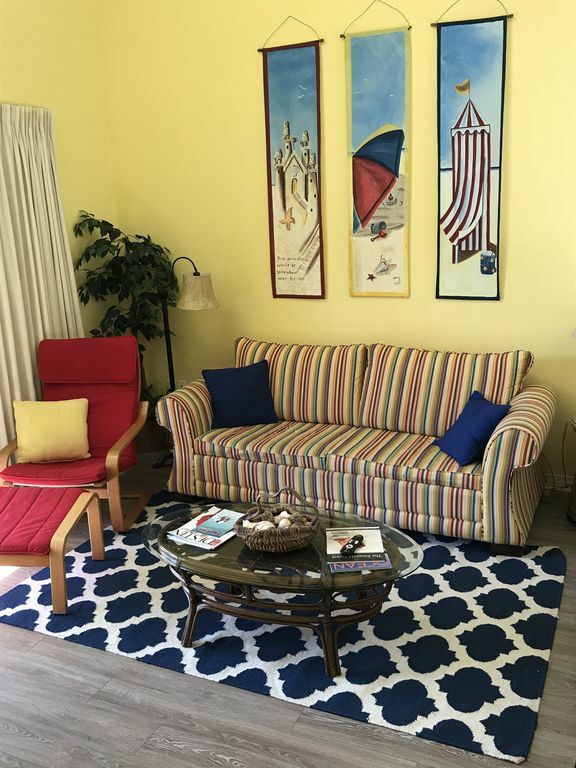 Located in beautiful Crystal Beach on the western end of Scenic 98, Caribbean Dunes offers the perfect complex for a relaxing family vacation. This 2 bedroom, 2 bath condo is clean, comfortable and excellently appointed with everything that you need for a wonderful stay. The complex has a beautiful pool with hot tub, and the easy beach access is just a few steps away. Master bedroom/bathroom downstairs, 2nd queen bedroom/bathroom upstairs in private loft. There is a partial beach view from the balcony, and a beach view from the upstairs loft bedroom. New stainless appliances and new flooring in 2017! Crystal Beach has been a favorite spot for many for several years because of the sheer beauty of the beach, the low traffic and small crowds. Caribbean Dunes is conveniently located near the Destin Commons, Rave Theatres, Bass Pro Shop and many restaurants. Shopping options are numerous at the Commons, and the Silver Shells shopping outlet mall is located just minutes to the east. There are many local favorites along Scenic 98. Camille's is less than a block away and Captain Daves, Pompano Joe's, and the Crab Trap are just a short drive up the road to the east as well. Henderson Beach access is directly across the street from the condo building. One block to the left is the Shores at Crystal Beach access (across from Camille's) and provides a larger public beach area, showers, restrooms, and chair/umbrella rental in the summer months. Great condo across from beach. Clean, well stocked and nicely decorated. Really good location. We loved the place, well stocked, clean, comfortable, very short distance to beach! We absolutely loved staying here! The place was cozy and clean. Perfect proximity to the public access at Crystal Beach. We sat on the balcony every morning listening to the waves and people watching. Close to lots of restaurants and things to do. Would consider staying here again if we decided to visit Destin another time! The month went by too fast. Great location-beach and restaurants close. Condo was in good condition, clean and very accommodating. Condo was very close to beach. Nice, clean and suitable for our business trip over a couple of weeks. Very clean and comfortable unit. We had a terrific stay and would definitely stay here again.